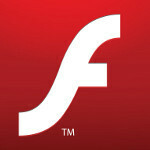 Adobe has said that it would no longer offer new versions of its Flash Player for new Android builds. On the other hand, the software firm did say that it would support the current version of the software with security updates and bug fixes. Adobe is living up to its promise and is offering a new update of the Adobe Flash Player that is currently available in the Android Market. Among the fixes in the update is a way to prevent the evil bad guys from using a system crash to takeover your system. In the latest Adobe security bulletin, the company suggests updating to the new build for users of Adobe Flash Player 11.1.115.6 and earlier on an Android 4.x phone. Those running Adobe Flash Player 11.1.111.6 and earlier for Android 3.x and 2.x devices should also update to the new build immediately. To make sure which version of Adobe Flash Player you are running on your Android device, go to Settings > Applications > Manage Applications > Adobe Flash Player x.x.